The past weekend I got into a conversation with a friend about the exact meaning of “few” (yes, sadly, this is how I spend my time.) Like many people, she said a very definite idea of what “few” meant: three or more. Yet, from an LSAT perspective, is that definitely correct? Actually, no. While many people would agree that “few” means three or more, the actual dictionary definition of “few’ is, “not many but more than one.” So, a “few” cannot be one, but it can be as low as two. This surprises a lot of people but highlights some of the dangers of taking the LSAT without preparing beforehand: you can easily end up misinterpreting words you use every day and are generally confident you understand. Why is this? 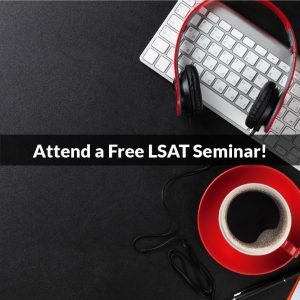 Because the LSAT tends to use the logical or dictionary meaning of a word, which is sometimes different from the way such words are use in everyday conversations. This is an interesting concept, so let’s look at an example. One classic example of word misinterpretation occurs with “some.” As we discuss in our LSAT Courses and in the LSAT Logical Reasoning Bible, “some” means “at least one, possible all.” While most people understand the “at least one” part, it is the “possibly all” portion that surprises them. For example, if you tell your roommate that “some” of your friends are coming over to watch the game, most of us assume that means not all of your friends are coming (otherwise, why wouldn’t you have said that all of your friends were coming) But, logically speaking, “some” can include “all,” so in the LSAT world, it may be that all of your friends are coming over. The nice thing about “some” is that the definition is clear: always at least one, but maybe all. Other terms, such as “few,” “several,” and “many,” are more relative. Let’s examine each. As mentioned above, “few” means two or more. But, this term, like the other terms below, is actually relative to the overall total. For example, if there are seven people at a dinner party, and a “few” of them are Republicans, then “a few of them” would definitely mean two or three of them (could “few” mean a majority (such as four)? In this situation, yes, because the overall group is small. But as the overall group becomes larger, “few” becomes increasingly unlikely to represent a majority. On the other hand, if you were talking about a “few” of 20,000 concertgoers being unruly, then you might mean dozens, or maybe a hundred, but you probably mean just two. Two unruly concertgoers would translate into “rare.” So, the meaning of some terms of the LSAT can be sensitive to the contextual use of that term in relation to the overall size of the group. This can make the term difficult to interpret because its meaning is not constant, and it changes depending on group size. By definition, “several” means three or more (but often less than “many,” which we will cover next.) So, if several party-goers out of a group of nine were intoxicated, “several” could correctly be translated as three or four. If five party-goers were intoxicated, that would usually be stated as “most.” However, if several party-goers out of 100 people were intoxicated, that wouldn’t be three or four, but a slightly higher number. So again, this term is challenging to interpret under time pressure because its meaning can change, depending on the size of the group. “Many” is defined as “a large number.” But, what does “a large number” actually mean? In the case of a nine-person party, “many” might mean five, six, seven, or eight. However, in the case of 20,000 concertgoers, many would probably mean over 7,000 or 8,000–the exact number is indistinct. So again, the meaning of this term is somewhat dependent on overall group size. 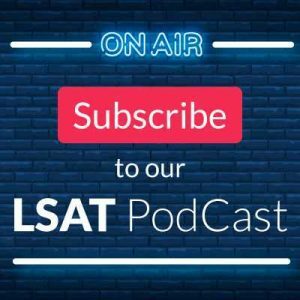 The point to take away from this discussion is that the way words are used on the LSAT is not necessarily the same as the way you might typically use those words. And, when terms representing quantity are used, this is even more likely to be the case. 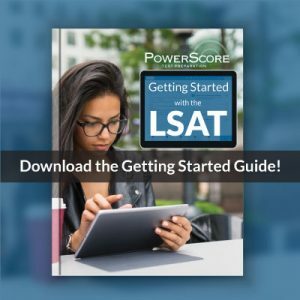 Part of the value of studying the LSAT prior to taking the test is that you can familiarize yourself with the way the test makers use language, so you don’t have to think about these issues during the test. That kind of familiarity can make you a faster and more confident test taker.